Rex Willett, President of Northstar Campers, sent in the following manufacturer’s response to the Northstar 12STC Review. 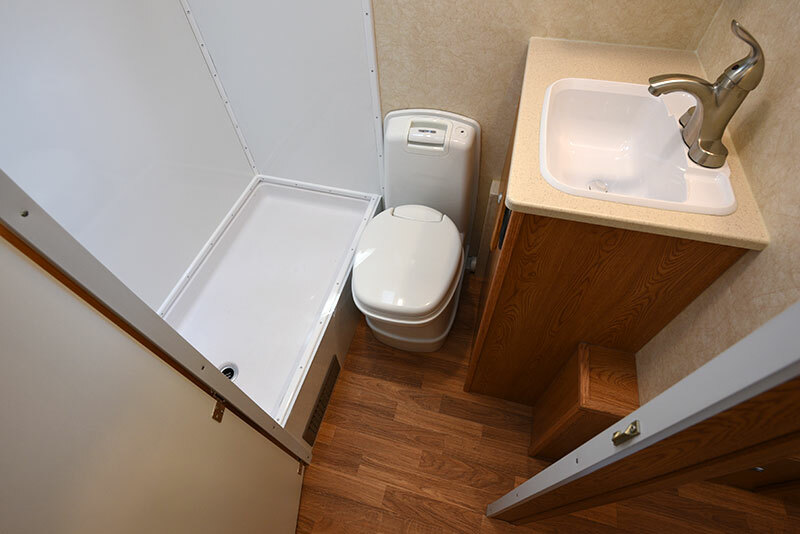 “I truly enjoyed reading the review you did on the Northstar 12sTc. I found it over the top for information, photos, detail, opinions, and facts. It was really well done. I always have enjoyed Gordon’s style of writing, dry humor, and different perspective and takes on things. Thank you for the time and effort you put into the review. The review has created a bit of buzz about the 12sTc and we have received a good number of customer inquiries about the camper. It definitely got the attention of people who may have otherwise been dead-set on a slide and basement-style camper. Based on the review points, I have a bit of feedback that I want to share. Above: The rear camera switch is in the upper right corner. In the review, you asked about the rear camera switch. The rear camera switch shuts off power to the camera to preserve its lifetime. Northstar uses a super high quality, wide view, wireless digital camera and 5-inch monitor. The monitor plugs into a utility outlet in the truck. 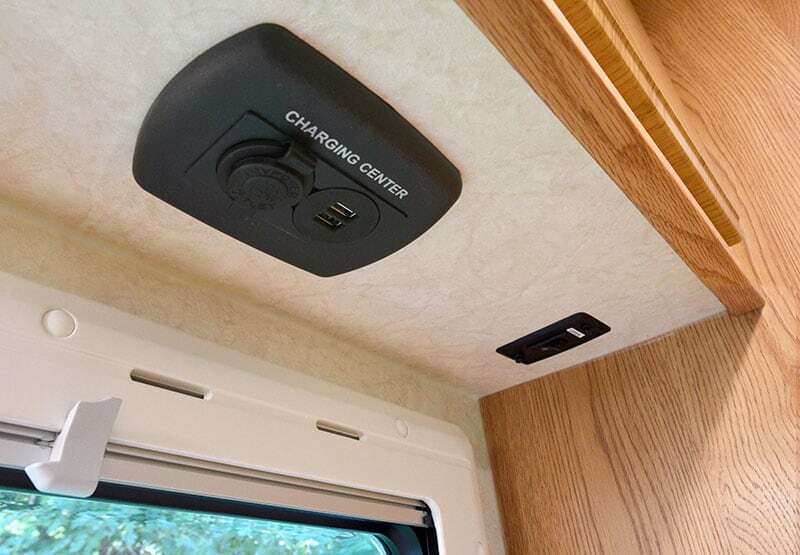 When storing the camper, we recommend switching off the rear camera to increase its longevity. One great feature of the camera is the owner can take the monitor from the truck into the camper at night. This gives you a good view of what’s behind your camper. People like this as a safety feature. The dreaded toilet paper holder. We believe that customers should decide on the style and, more importantly, location of their toilet paper holder. Everyone is different – right handed, left handed, 150 pounds, 450 pounds – and will want their toilet paper in different places. It’s an item that the customer can start making the 12sTc their own. Of course Northstar and our dealer network can add a toilet paper holder if a customer requests one. 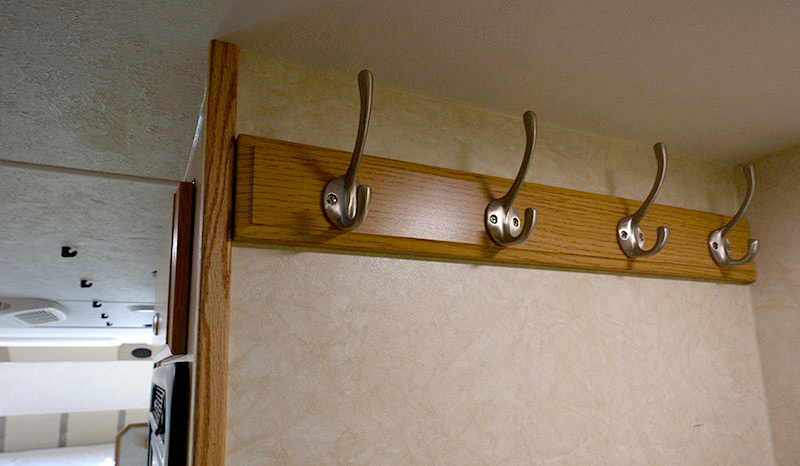 The great coat hanger debate. I have had a few 12sTc’s stop in here at Northstar. Each one had light jackets, hats, lanyards, and even pet leashes hanging on the hooks. I like your mirror idea, but I hate to scare myself right before I leave the camper. I might need to grab the hat to conceal my nifty morning hairstyle for the day. I don’t need a bunch of campers or animals spotting my new styles and starting too many trends, if you know what I mean.